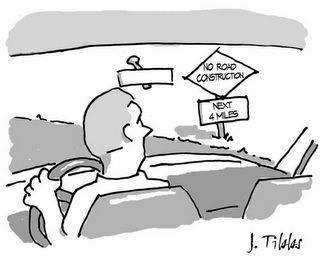 Slight Detour: Cartoon by architect Jim Tibbs, Grants Pass, Ore. Cartoon by architect Jim Tibbs, Grants Pass, Ore.
Nice blog on how to write a grant. I've got one too onfree government grnats I like blogger.com, don't you? Professional sites in minutes, cool!